I’m honored to be the guest columnist at the HWA’s Blood & Spades column by Marge Simon. It was a shorter post than I’m prone to, due to all the moving of children and other real life occurrences, but sometimes short isn’t bad if what I needed to say was all said. Unlike my last sentence. 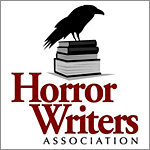 If you are a member of the Horror Writer’s Association, you can read it the March 2018 newsletter. If you aren’t a member, you should consider joining so you can freely read this column and so much more. If you don’t want to become a member you can try to read it from my screenshot image below. To join, visit the Horror Writer Association here. Angela, I’m delighted to have had you contribute a column for my Blood & Spades column –it was super I haven’t had time to catch up with emails since I got back from Stokercon Providence in the wee hours of the morning. Many thanks! !